We've been trying to make an effort when we're home to keep exploring the way we do when we're traveling around in the Airstream. There's so much to do near Portland and we seem to get home and just put our heads down, focusing on work and catching up on house things. 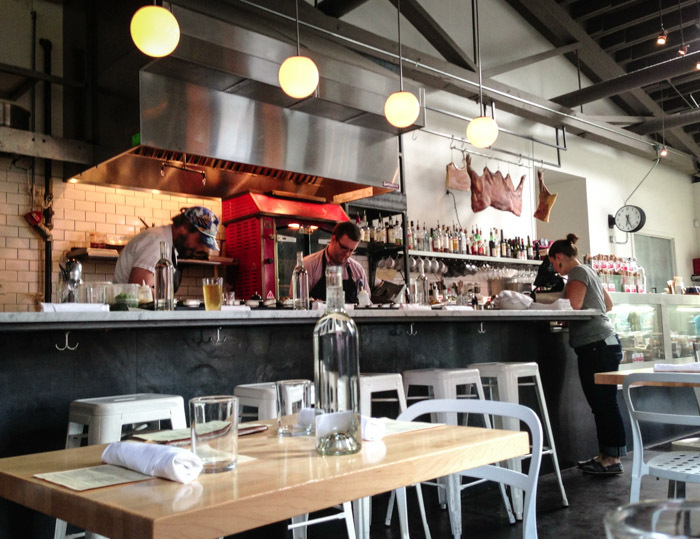 Last night on the early side we headed over to Olympic Provisions on NW 16th and Thurman in Portland. There are two locations — one in Southeast and this one in Northwest Portland. I love this NW location…chill vibe, warm bistro in a mostly industrial neighborhood. The chef at the NW location is Colin Stafford, who trained under Thomas Keller (of Bouchon and French Laundry) and the food here was spectacular…"a focus on rustic, European-inspired fare". 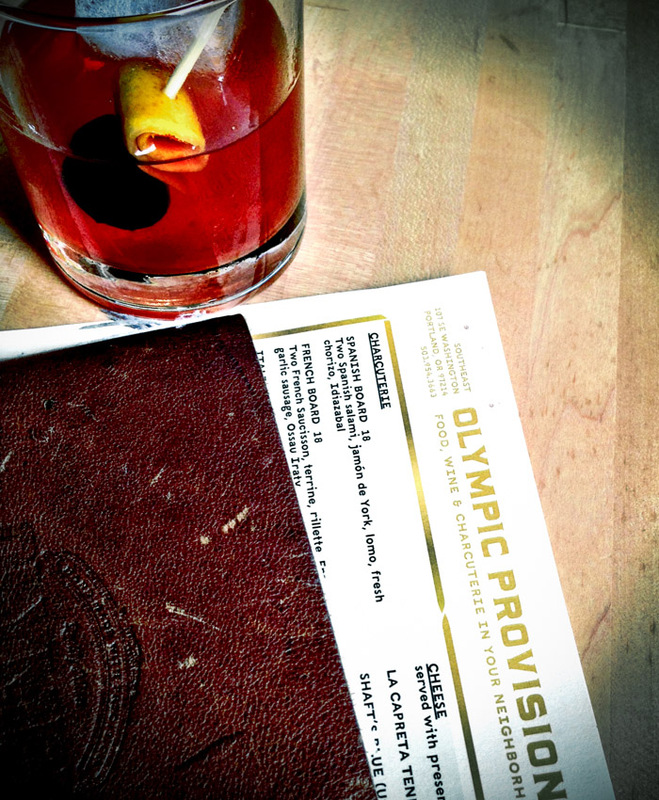 We ordered two Olympic Old Fashioneds and the Spanish charcuterie board to start. 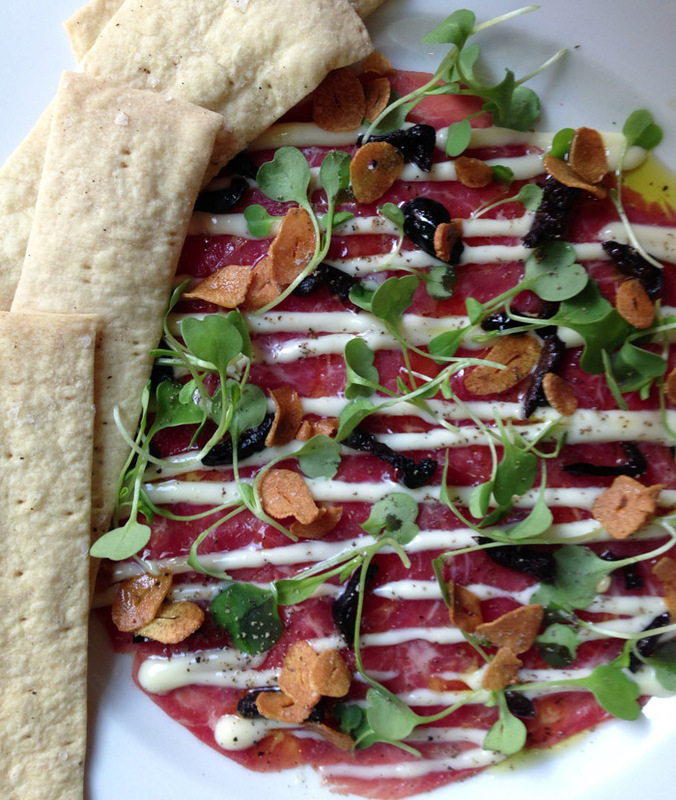 We follwed with two starters: beef carpaccio with oil cured olives, arugula, garlic chips, smoked aioli, and black pepper crackers, and steamed clams with white wine, saffron, garlic confit, chorizo navarre. 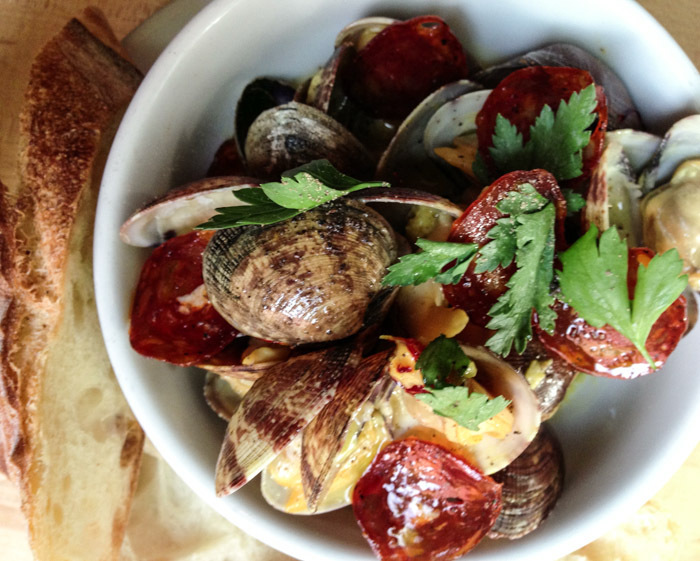 Both dishes were beautiful and delicious, but holy moly those CLAMS! We'd managed not to have any bread at all with the charcuterie board, but that saffron-y buttery garlic-y white wine clam broth did us in. …made from 150 year old vines in the Basque region of Spain. Loved it. Chipmunk update: I checked on them when we got home from dinner…they were snuggled in their box/nest (I put some plastic over the top so it didn't just sog up in the drizzly rain) and I took the water bottle in and reheated it for them. Two chipmunks went out their little door and one stayed in. I put the warm bottle back, and checked on them a bit later and they were all three back in there tucked in for the night. Later this week we head out to Skamokawa with the Airstream for some dry camping on the Columbia River with my mom and her friend Judi for my mom's birthday…should be good weather and a really nice time!